Anticipating a full summer of ye olde merrymaking? Start your journey in Folsom. The 12th annual Renaissance Workshops & Symposium raises the bright banners in Folsom from March 21 through 23. BEYOND THE TURKEY LEGS: One of the electrifying and, yes, occasionally intimidating hallmarks of a large warm-weather Renaissance-themed festival is that one and all are welcome to dress up. But is "welcome" a strong enough word? The vibe of the outdoor events is colorful and costume-y, and anyone showing up can join the performers and organizers in hoop-skirted, breech-fabulous glory. Getting the look pretty right, however, can stump at times, and if you want to be a part of the festival's lively song-and-show vibe? A little practice and know-how go a very long way. Good thing that Renaissance festival fans have gained a rep of being an inclusive bunch. If you've got the will and a little moxie, and you don't mind wearing tights or a wreath of daisies in your hair, well, by jim, you're in. MAKING IT ALL THE EASIER, though, to be in the merry, mirthful, often sassy mix is the Renaissance Workshops & Symposium, which unfurls, like so many medieval banners, over the first weekend of spring in Folsom. Consider this very well timed: Renaissance and fantasy faires are very much a springtime and summertime staple, so a brush-up on all things Ren just ahead of warmer days gets everyone back in the action, from festival veterans to people wanting to join the joustian, jovial doings for the first time. MARCH 21 THROUGH 23: Join the symposium and learn about history, "improv, costuming... and fitting into the Renaissance atmosphere." It's part of the organization behind the San Jose Fantasy Faire and San Jose Renaissance Faire, so if you're thinking of attending either, this is a fine and frolicsome place to begin. 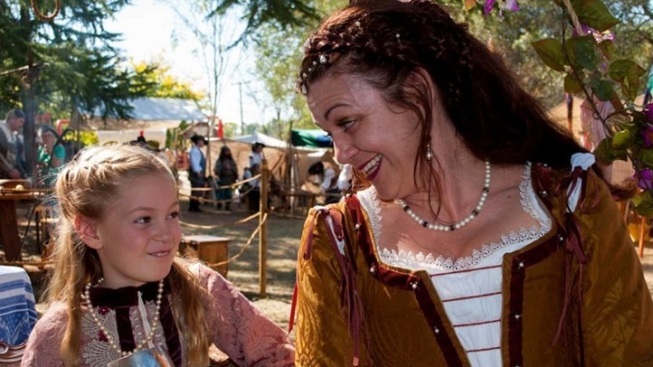 But honing those ye olde skills, whether you'd like to act, sing, be in guest relations, or even just attend, is always an excellent choice if your summer is built around faire hopping. How many do you hope to attend during 2015? California has plenty, with two of the biggies in San Jose. Best study up on your style -- sartorial and beyond -- ahead of spring.